With over two decades of experience and more than 7000 installations, we've got the features for every scenario. But we're not resting. Listening to our customers is in our DNA, and that's how we help bring innovation to the industry. Update and tweak the system based on what employees find most productive. 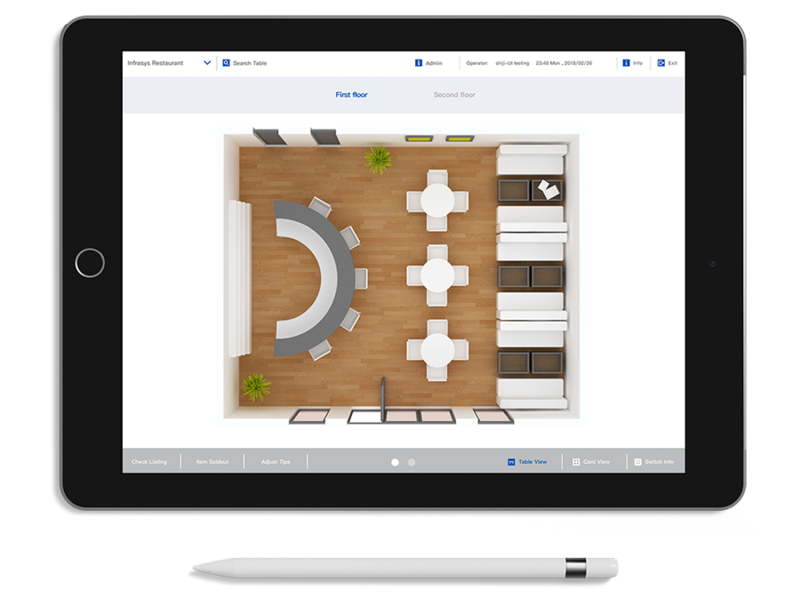 From menus to floorplans, Infrasys is all about maximizing time with guests and minimizing time on devices. In building Infrasys Cloud we specifically wanted to make sure the maintenance work was easy on managers and staff. When menus change, or ingredients get updated, it should be easy and practical. In the process we also made the set-up and training easier, so upgrading your system isn't too disruptive. Need to add devices for a pop-up bar this season? Have already got a series of Android handheld devices for your properties? Infrasys Cloud not only works on any hardware, it also works on any operating system. From Windows, iOS, Android and even Linux if that's what you need. 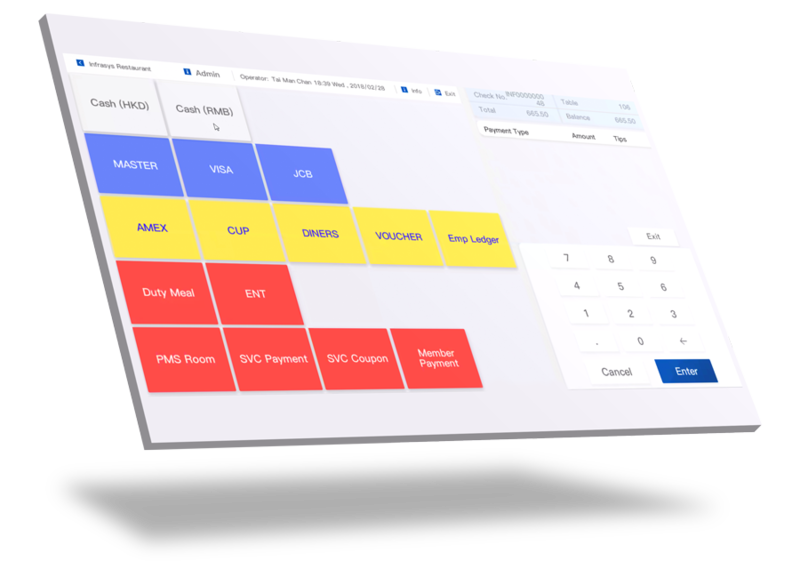 Dual screen registers check, Promotional screens check, it’s all built in to Infrasys to save you time and increase sales (and customer satisfaction). By building a central media library you can update everything from one central location and not need to worry about having the images ready. Digital displays, client menus, waiter devices all managed from a single location. Design the dashboard to fit your menu, larger buttons for the frequently used items, or simply for those you want to sell more of. 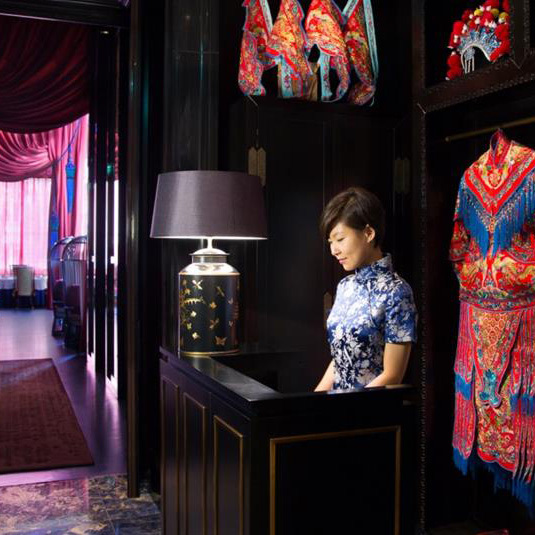 Accept credit cards or pay-to-room digitally and keep it all secure with digital signature. 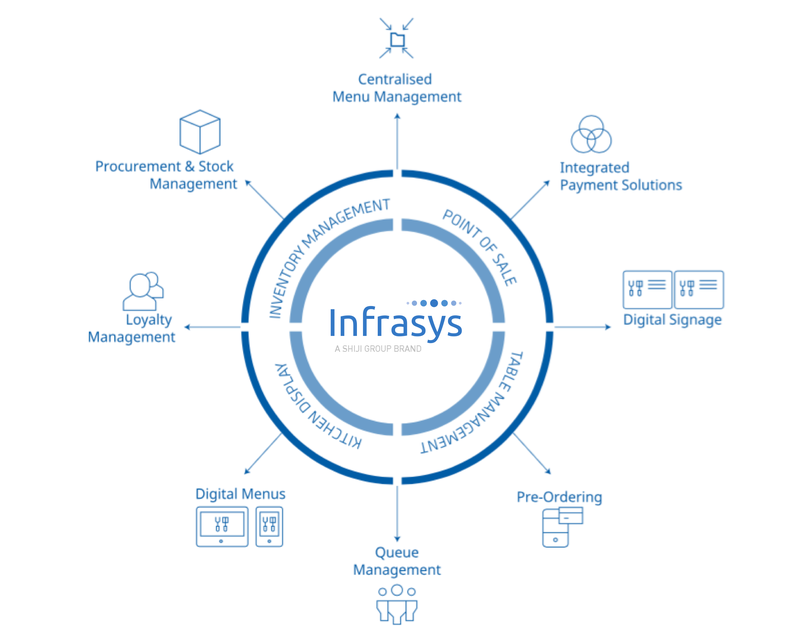 With multi-lingual functionalities built in, Infrasys helps you on-board staff and provide localized service to your international clients. To cater for the growing use of digital menus for customers, we have a fully customizable tableside ordering system, that is fully integrated with the kitchen and of course, works with iPads, Android tablets or Microsoft Surface. 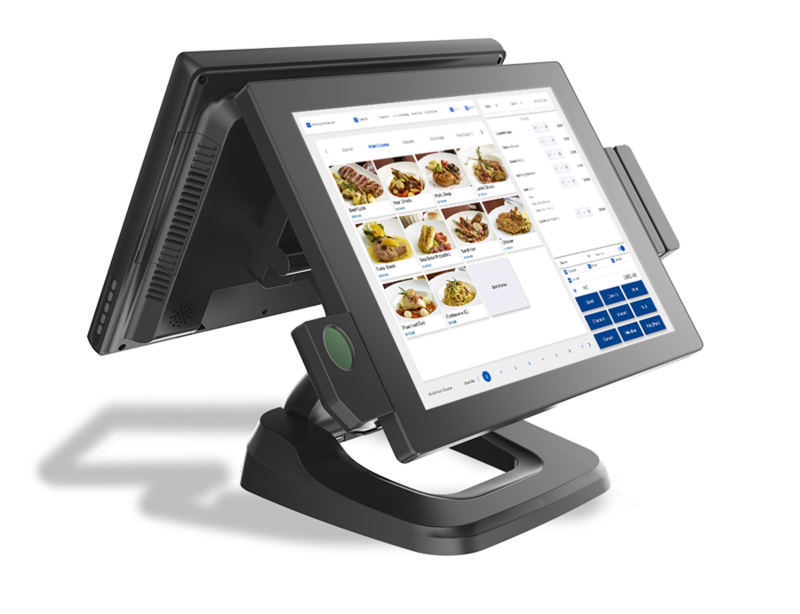 A portable and fully-featured restaurant POS to take orders right at the table. With built-in pairing recommendations to help upsell customers. Directly transmit orders to the kitchen and track table wait-time. Online pre-ordering through web-enabled application, Android or iOS devices. Easily build fast take-away options and reduce in-house wait. 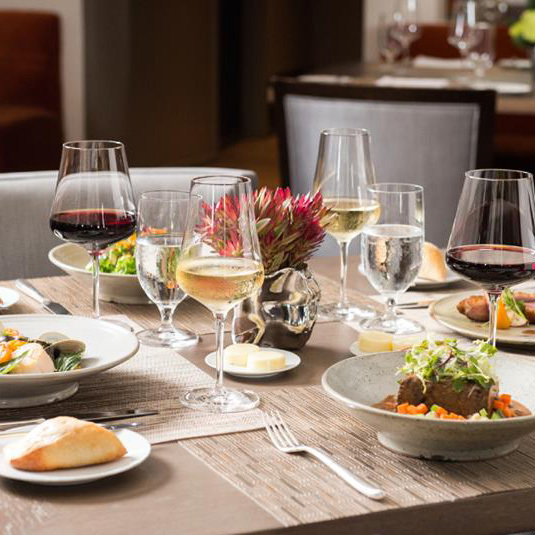 Guests pre-order on their phone, and come to pick-up when their menu is ready. View an electronic menu through in-store TV or display devices. Provide digital menus and allow your guest to order on a mobile device. Whether you are a quick service, fast casual operation or simply offer a full service restaurant offering takeout services, line busting has never been easier. Pre-order in line during busy periods helps shorten unsightly lines and reduce customers’ time-to-buy experience. Deeply integrated with payment solutions, we provide a variety of solutions to accept payments. From credit cards, room debits and disruptive wallets, discover a broad array of options including direct integration with Alipay, split check by options, tips, coupons and more. 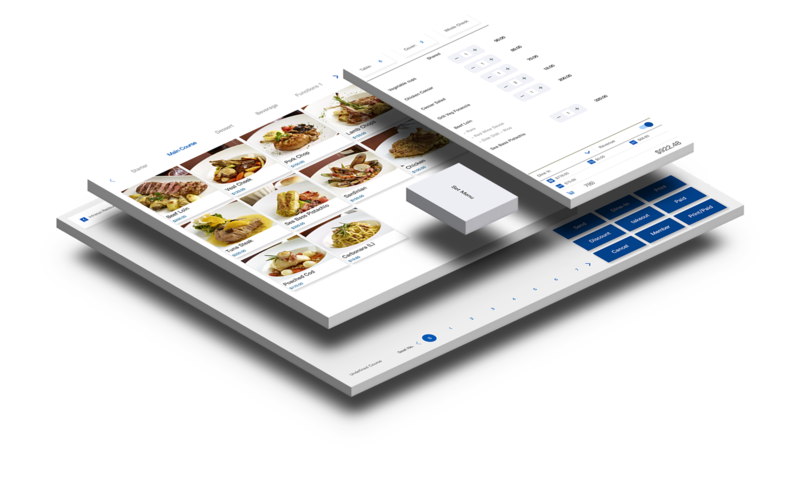 Device level, outlet level or group level, pull out the reports you need to manage your restaurants rapidly and efficiently. 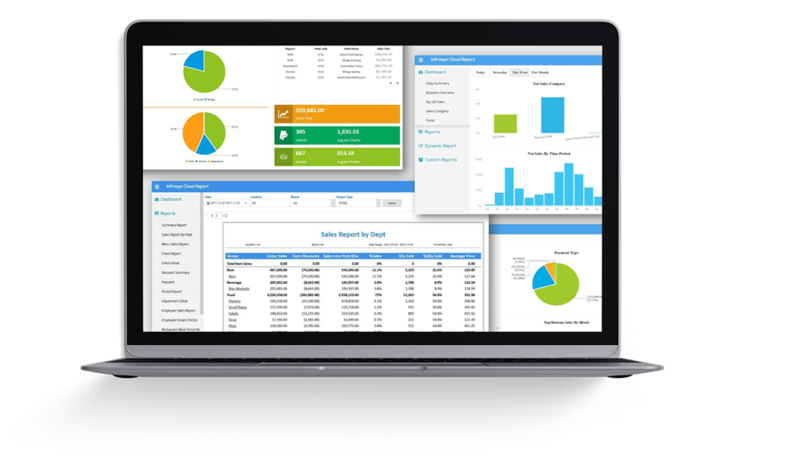 We have hundreds of reports already built, and our data export tools permit you to build even more.